Instrumentation of the matrix. 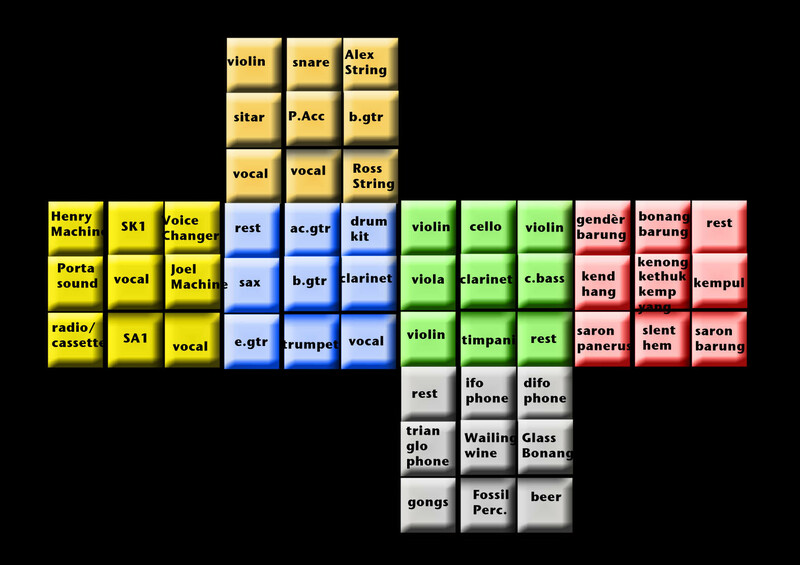 Here is the layout of the 72 instruments. 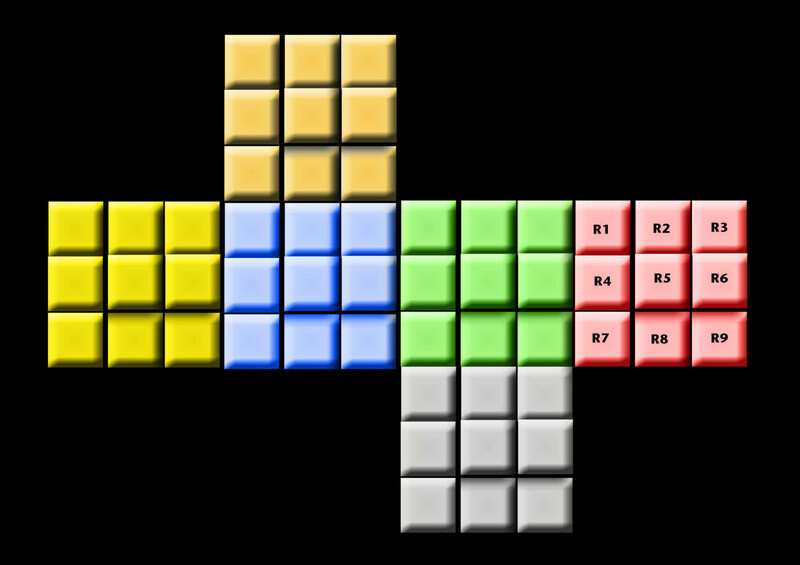 The cube matrix is divided into 6 colours. Red = R, Green = G, White = W, Blue = B, Yellow = Y and Orange = O. Each of these colours is divided into 9 numbered squares (1-9).